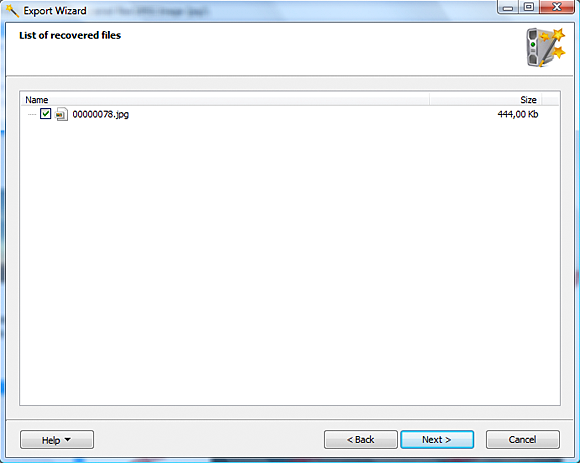 "Download" and install Undelete Wizard with caution. Never use the disk with deleted files that you are about to recover to save the downloaded copy of Undelete Wizard or install it. 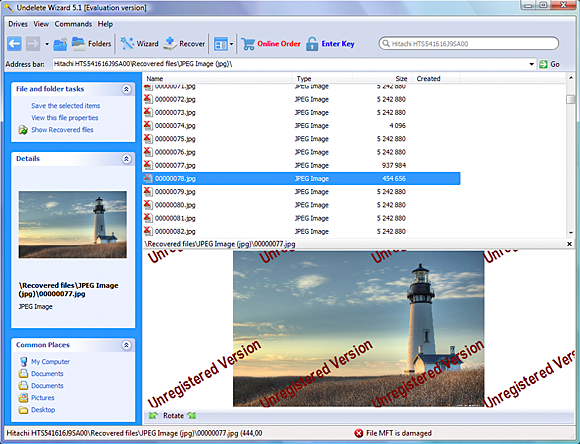 Save and install Undelete Wizard onto a different disk or partition, or use an external storage such as a USB flash memory drive, external hard disk, remote or network attached storage (NAS), CD or DVD disc. 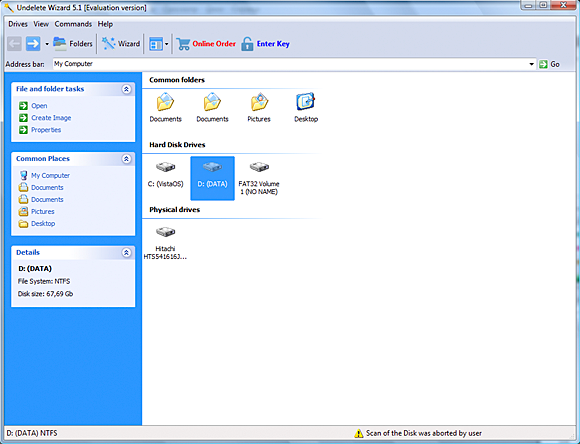 In order to recover deleted files, you’ll need to register your copy of Undelete Wizard. To register, use "Help" – "Order Now" or the "Help" – "About" command from the menu, and then click "Buy Now". You’ll receive your personal registration key as soon as your order is placed. 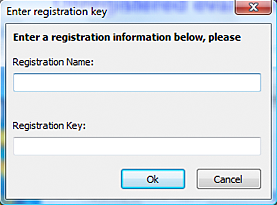 Enter the registration key you received by using the "Input Key" command. Click "OK" to dismiss the registration dialog. 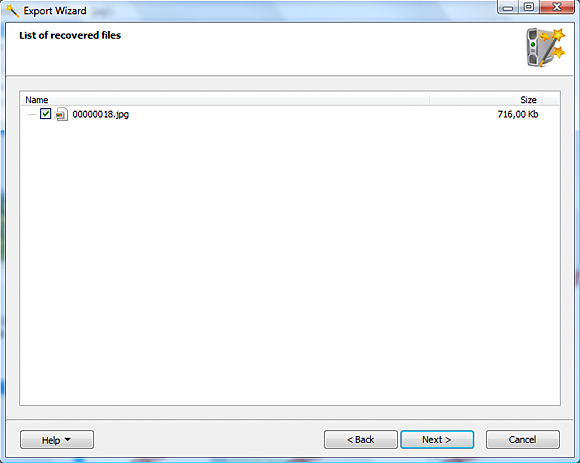 Note that you can also register your copy of Undelete Wizard immediately before recovering deleted files. You’ll get a registration window that lets you purchase and enter a registration key right after Undelete Wizard scans your disks. 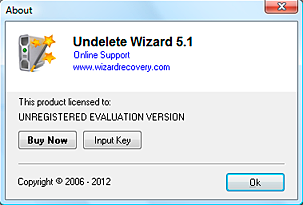 Launch Undelete Wizard to see the first step of the Easy Recovery Wizard. 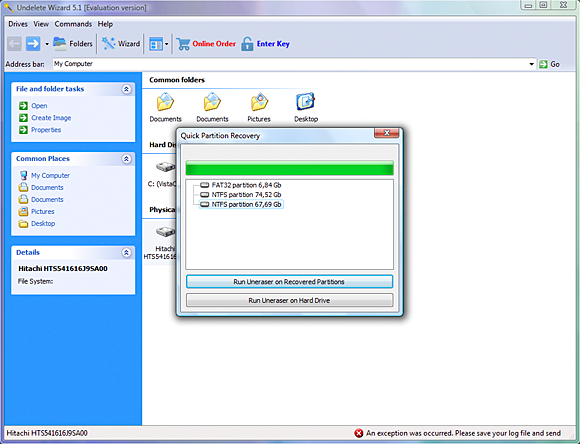 The next step of the Easy Recovery Wizard requests that you select a partition or a physical drive. 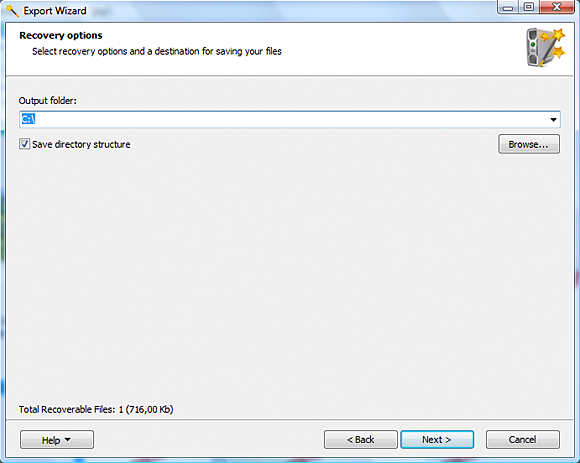 Undelete Wizard can work with damaged or formatted partitions, as well as repartitioned hard drives. At this time, no changes are made to the disks. Use Undelete Wizard safely on any partition, even the system one. A virtual disk is an exact snapshot or an image of an existing hard drive or partition. By recovering lost or deleted files from a virtual disk instead of the real thing, you are taking the safest route possible. In the unlikely event that something goes wrong with the recovery (e.g. if you choose to save the recovered files onto the same disk they were deleted from), a virtual disk lets you go back and attempt the recovery again and again. Mount an existing virtual disk by using the "Help" – "Mount Image" command, or create a new virtual disk by right-clicking the partition or the hard disk and take its snapshot with the "Create Recovery Snapshot" command. Hit "Next", and you’ll see a progress bar and the number of recoverable documents found so far. Larger volumes can take quite some time to process. At this time, Undelete Wizard is not making any changes to the disk. After the search is complete, you’ll get a complete listing of recoverable documents in an Explorer-like window. Deleted data are marked with a red ‘X’. Click on a deleted file to see its preview prior to recovery. 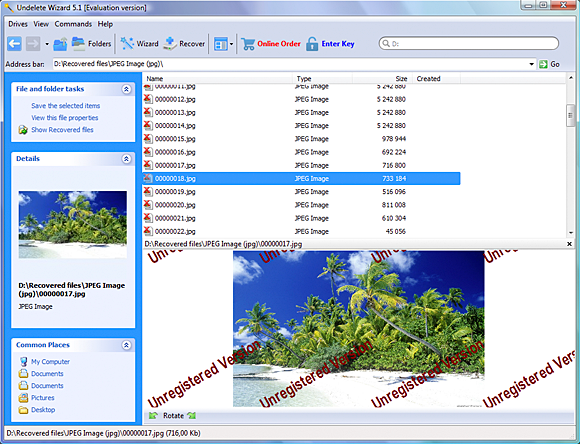 Note that Undelete Wizard can display previews of recoverable files in the full and evaluation versions. If you see a preview, the file is definitely recoverable. Mark files to recover with check boxes, and click "Next". Select a directory on a different hard disk or external storage to recover files to. Recovering files onto the same disk where they were deleted from is not recommended. Click "Next" to proceed to the actual recovery. After the recovery is completed, access recovered files by clicking the underlined link. Click "Finish" to complete the process. 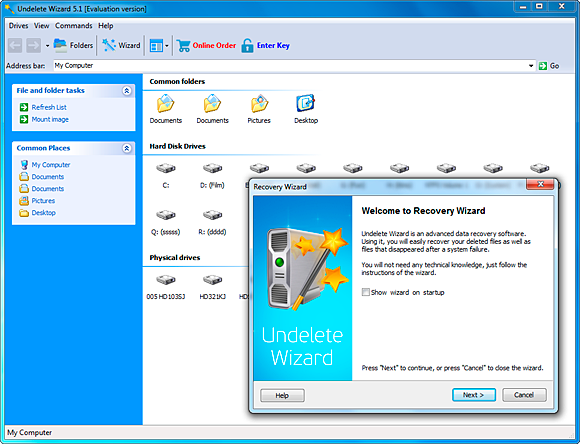 Undelete Wizard can be used to recover files lost due to a system failure, reformatted and repartitioned hard drives. To recover lost or deleted files from the entire hard drive, select a physical disk at the disk selection step of the Easy Recovery Wizard. When prompted, choose Recover Hard Drive. 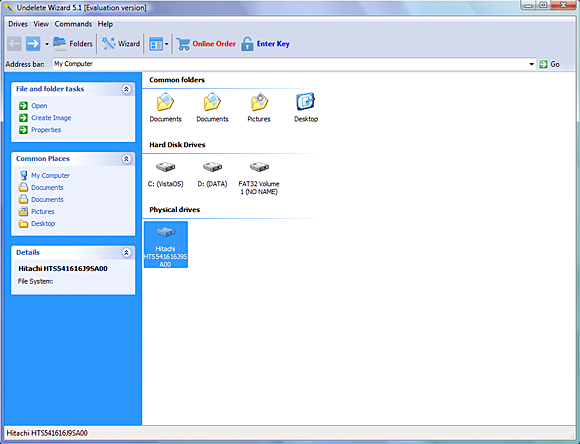 Undelete Wizard will automatically scan the entire hard drive to locate all recoverable data on the physical disk. Large hard disks can take awhile to process. After the scanning is finished, proceed with the recovery as usual. 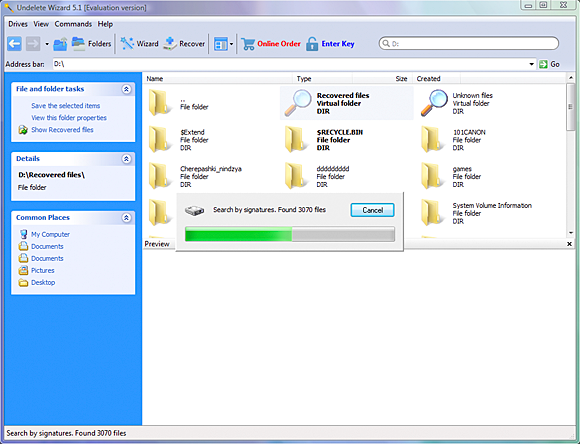 The Recovered Files folder contains files located with PowerSearch. The PowerSearch technology is a result of years of research. The innovative data recovery technology scans both the file system and the hard drive surface in order to locate lost and deleted files that no longer appear in the file system. If the file system is damaged or unavailable, as in a re-formatted and re-partitioned hard drives, PowerSearch is the only technology that is still able to locate and recover certain types of documents. Over 200 different types of files are supported, including digital pictures, office documents, compressed archives, multimedia files, email messages and databases. 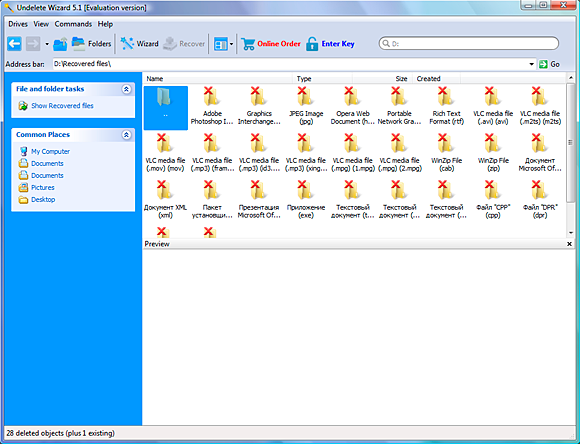 The recoverable files are grouped by the type. 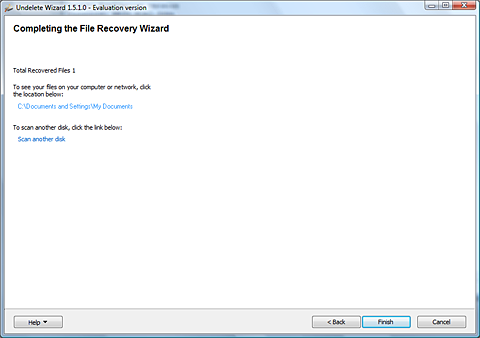 You can preview all recoverable files before the recovery. Simply click on a file to see its preview. Select files to recover in the tree, and click Next to proceed. The selected files will be recovered.